Why should you use WiseFax service to send fax to Rwanda? If you live outside Rwanda, sending a fax to Rwanda can be very pricey due to the high rate of international calling prices, especially when using your own fax machine. And as fax machines are not very common in many countries nowadays, it is very likely that you don’t have an access to one to send a fax. The best and many times also the easiest and cheapest solution is to use an online fax service that helps you send fax. WiseFax lets you easily and securely send a fax from any country in the world to Rwanda. Just follow the steps above. WiseFax is a pay as you go service. Therefore, there are no regular monthly costs and no hidden fees. WiseFax will charge you only for successfully sent online faxes. WiseFax calculates price and presents it to you before sending. So, you will always know the total cost before you approve it. Price calculation is based only on a number of pages and receiver’s geographic location. Also, you will receive a fax confirmation to your email address after a successful delivery. WiseFax offers different possibilities of sending faxes to Rwanda. 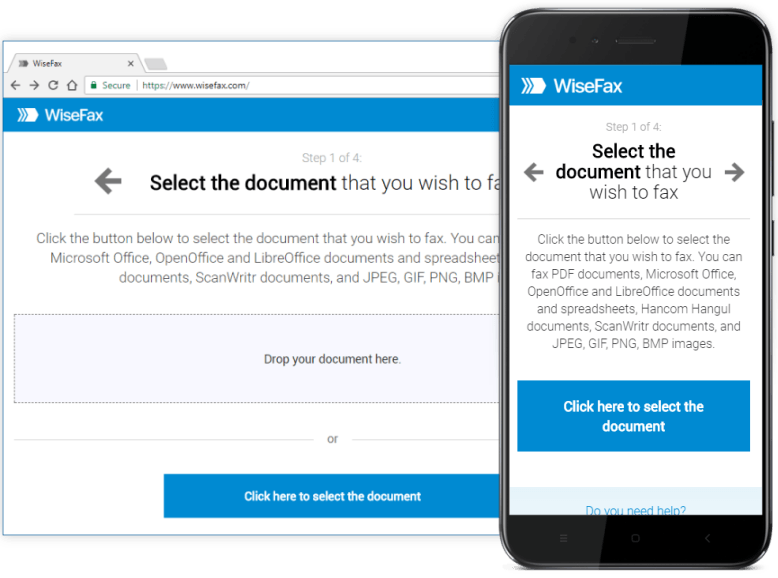 You can send fax to Rwanda with WiseFax also using an app, browser extension or add-ins. You can send fax from Android, macOS, Windows 10, Google Chrome, FireFox, Microsoft Word, Microsoft Office 365, Google Docs, Google Drive and Box cloud storage. How to send fax from Box easily, quickly and securely? How to send fax from Google Chrome? How to send fax from Office 365? Now you know how to send fax to Rwanda!